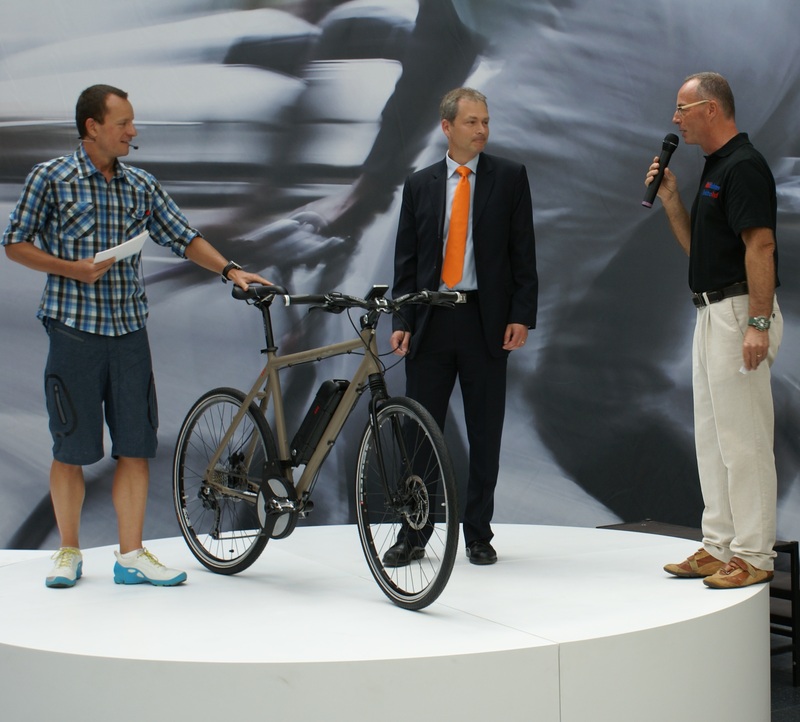 AEG held a Eurobike press conference today to show off their new central motor drive system. From my earlier posts, also based on their PR, I find this very interesting. Unlike other electric motors that either push or pull the cyclist, this one may work with their legs like the Stokemonkey. Of all the e-bikes I’ve ridden, I’d argue the system that works the best is one that works with your legs and is centered in the crank.